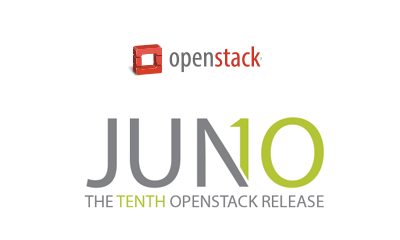 OpenStack Juno on CentOS 7 | Random Thoughts! 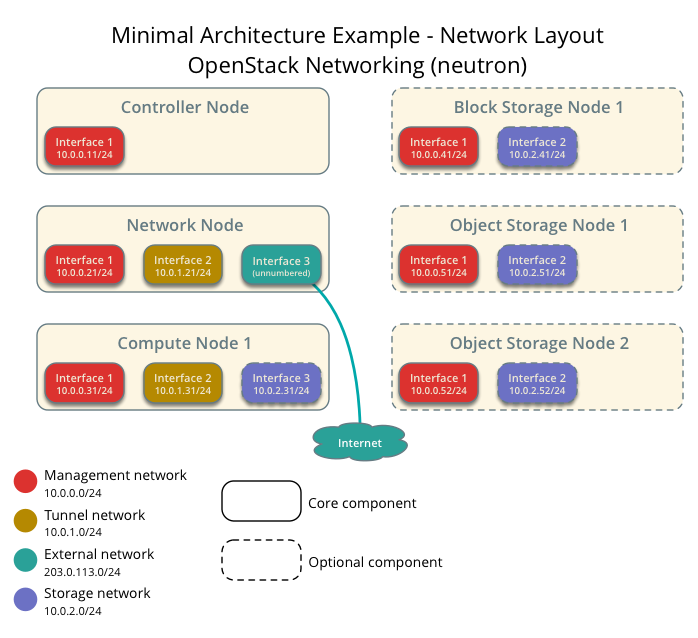 Recently tried the 6 node Openstack environment comprising of Controller,Network, Compute, Block Storage and Two Object Storage Node. Started with the Ubuntu for all the nodes started with the corresponding install guide. Unfortunately, there was some packaging issue of Juno components for Ubuntu.Even others have reported issues in launching an instance. Probably it will be fixed in future Ubuntu update. I had to use CentOS 7 to the same setup working. 1) The Openstack Juno Install guide for CentOS/Redhat/Fedora is excellent one and can be followed step by step. I will just mention the environmnet that used for creating the six CentOS instances and network. 2) Used VMWare workstation on Windows 8. The PC has 16GB RAM. I would recommend 16GB minimum . 3) Create Three host only virtual network disabling DHCP. Vmnet1,Vmnet2,Vmnet3,Vmnet4 as in diagram below. 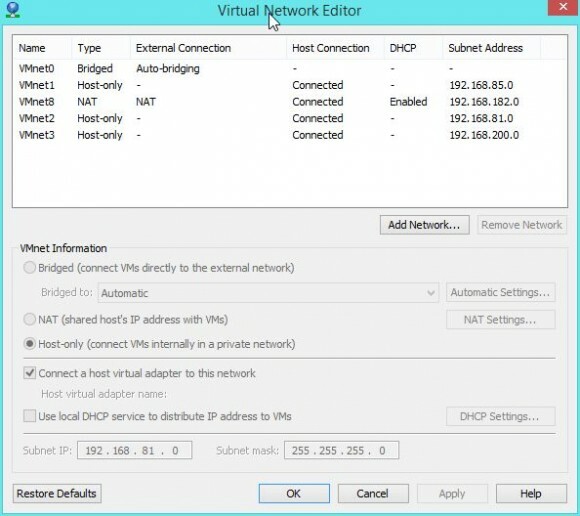 Always add one interface in VM to VMnet8 for internet connectivity & management. Once the VMs are created , just following the install guide can get the Openstack setup up & running within the VMware environment.